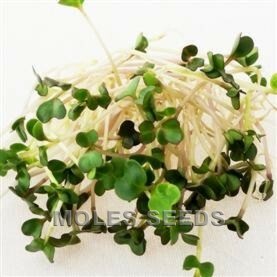 Produces flavoursome sprouts that contain vitamins A, B, C and K, along with nutrients such as Calcium, Iron and Potassium. A slightly nutty flavour. Ideal with fish and in sandwiches and salads. Sprouts typically ready after 9-10 days.